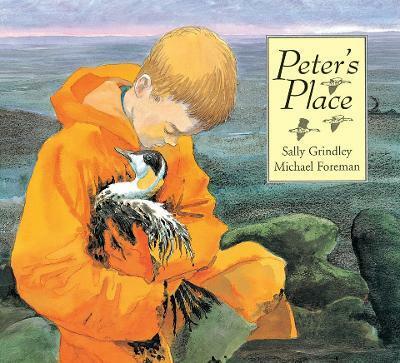 The images Foreman portrays create a lasting impression of the fragility of nature, matching Grindley's heartfelt story of an ecological disaster. Sally Grindley (Author) Sally Gindley was born in Woolwich and grew up in the Medway Towns. She studied French Literature at Sussex University before working for a national children's book club where she stayed as Editorial Director for 17 years. During that time she had her first children's books published. She has been a full-time author since 1995, and has had over 130 books published - some of which have won awards: The Smarties Gold for her novel Spilled Water, The Federation of Children's Book Groups Award for Shhh! and the Smarties Prize for Can I Help Dad?, and been shortlisted for the Sheffield and Norfolk Libraries Book Award with picture books Little Elephant Underfoot and Polar Star respectively and most recently she's been shorlisted for the Rotherham Children's Book Award for Broken Glass. She now lives in Cheltenham, Gloucestershire, with her three sons - when they're not at university - and Dizzy, her very very old cat. http://www.sallygrindley.co.uk/Michael Foreman (Illustrator) Michael Foreman is one of the most talented and popular creators of children's books today. He has won the Kate Greenaway Medal twice and has been the UK nominee for the Hans Christian Andersen Award twice. His highly acclaimed books are published all over the world. He is married and has three sons. He divides his time between St Ives in Cornwall and London.